I built this PC late Nov. 2018 to replace my 6 year old Dell XPS 8100 PC, which I purchased so I could produce HD videos and share on-line and/or burn to blue-ray. 3 years ago I installed a bootable SSD, 8 GB of RAM and a GTX 750 GPU, which made it seem new again. I produced 100's of videos using that PC and it worked well with the HD video cameras I purchased for filming weddings, social and business events using Pinnacle Studio and Power Director. I closed the business after 3 years and produced a few videos after, mostly as a hobby. This is my first solo PC build. Yay! I got the itch to build this PC two years ago when helping my 16 yr. young nephew build his first PC, which he uses mostly for gaming. After two years of waiting I finally got the resources to select the parts and purchase them. In hind site, I'm glad that I waited because the price of the components got better and the price for them dropped quite a bit. I now have a PC that I can edit 4K video on and produce videos to share on-line using Davinci Resolve 15. I have not yet bought into the Fusion product but will consider it if it goes on sale. I also subscribed to PowerDirector 17 for non-professional video production. CPU: Getting an 8 core CPU for $305 seemed like a bargain. The reviews I read showed it sustained a 4 GHz or better frequency when running in boost mode. I'm going to try running in at stock frequency for starters to see how well it performs. Some reviewers claimed it performed well with Davinci Resolve which was a bonus. It's not as fast as Intel CPUs for gaming, but that's not my primary use. Motherboard: I love the look and quality of Asus MBs for years and am glad I found one that fits this build at a great price. I used the auto OC feature once to get 10% more speed, but the CPU ran hot and the fan was somewhat loud, so I reverted back to the setting to clock the memory at 3200 (stock speed). Memory: I got 32 GB because most video editing programs recommend that when editing 4K video. I doubt I will ever have to increase this (famous last words). The white matched my B&W color theme quite well. 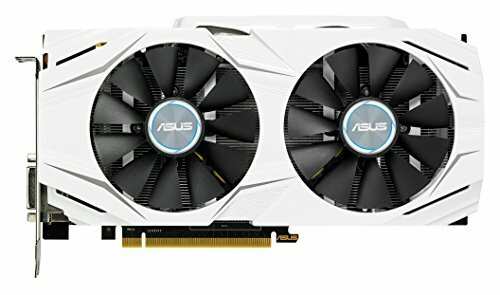 GPU: My nephews PC gamed well with his GTX 1070 GPU so I found a nice B&W one from Asus. A few days prior to purchase the Asus GPU was $380. When I was ready to purchase, it shot up to $440. WTF? Hence, I ordered a RTX 2070 card to future proof it. About a week later the 1070 went on sale for $380 and included a $60 game (Monster Hunter). That's when I purchased the 1070 and returned the 2070 back to NewEgg for a full refund. It should serve me well for video editing and 1080p gaming. Perhaps in a few years I will replace it with a 3070 or better. Case: I always wanted a mid size white case with side glass, not plastic. This one seemed to fit the bill and the reviews were mostly positive. As you can see from the parts list I added 2 HS corsair fans to increase the air flow when needed. 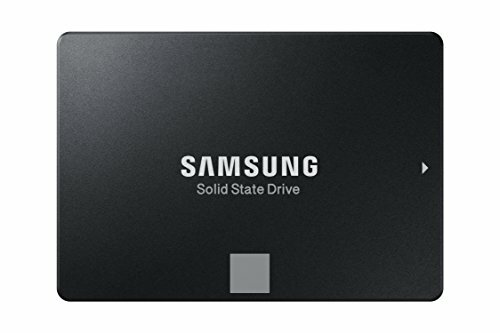 SSD Storage: I had a spare 265 Samsung 850 EVO that I bought three years ago in case my primary one failed. Hence, it was practically new and works well as a boot/OS/app drive. I bought the 1 TB 860 EVO to store project files on. I bought the 970 EVO to use as a high speed working drive while editing and producing videos. Keyboard & headphone: I bought these items as an after thought. I was going to use the wireless Logitech keyboard and mouse but quickly determined it was a pain to keep moving the USB receivers from my old PC to my new one. Plus the new keyboard has a touch pad so I won't need a mouse and can use it comfortably on my lap while working from my couch. I purchased the headset because it was on sale and would make the family happy when gaming when they are home. It might also work with the TV for late-night viewing. I'm an early sleeper/riser and will rarely use it for that purpose. Monitor: I have the PC hooked up to the HDMI hub on the Samsung 50" MU8000 TV, which is 4K/HDR and has a decent response time for gaming. Hence, there was no need to purchase a new monitor. Regardless, I got the bug to buy a Dell UPD2716D monitor because of the price $389 before tax and the true color support, which will come in handy when editing videos and pictures. It also games quite well at 2K averaging 50 fps, which is fine for me because I don't play shoot-em-up type games. I play Monster Hunter, Query, Eyes of Ara and Shadow of the Tomb Raider. Bling: I saw how nice other people's PCs looked with custom cables and back-plates. Hence, the added expense and time to install & configure it all. I hope you like it. I will match colors during the holidays and leave in B&W all other times. The Build: I built this PC over the course of several afternoons. The first post attempt failed because I had the power pin connected to the wrong pins on the MD. Once I corrected this it booted w/out issue. I was then able to update the BIOS, install the OS, drivers and utilities. A shout out to Tech Deals YT channel for their excellent videos on this subject. Benchmark Overview: My main reasons for running BMs were to 1) create a baseline in case I felt performance dropping later on and 2) compare the speed with my old PC. To do the latter I had to install PowerDirector 17 on both machines. I have seen a lot of BMs for other builds on this channel. Viewers often request comparisons between older PCs and newer ones with apps like PD. This is for you! The NEW PC speed is stock, 3.7 MHz on all cores. PowerDirector 17: I'm seeing anywhere from a 2x to 5x speed improvement depending on the tasks I'm doing. Summary: Overall I'm really happy with the result and hope I can get at least 3-4 years of enjoyment out of it before upgrading parts or replacing it. I will be retiring the old PC to the basement Christmas week and using the new one full time. Love how clean the white looks! Vader is a great touch! Thought all that space in these cases with the LED lighting would be perfectly suited for something like that! Great work! Clean! Love the custom gpu backplate. One thing probably not a big deal with the 1070. The bottom m.2 changes the #1 PCIe slot from x16 to by x8. 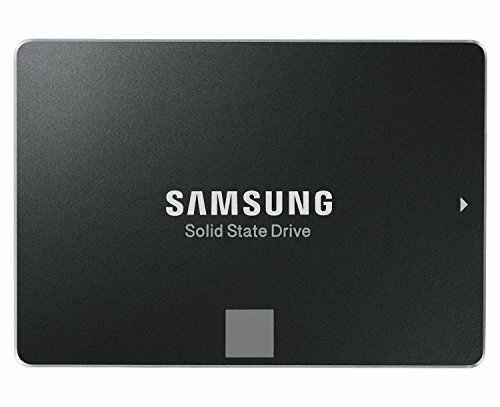 I guess I should move the SSD to the other M2 slot for better performance regardless. I had mine on the bottom also. Looks better there. "When the M.2_1 Socket 3 is operating in SATA or PCIE mode, SATA6G_5/6 ports will be disabled. When the M.2_2 is occupied by M.2 device, PCIe x16_1 will run at x8 mode." So in the bottom one, the graphics card will slow down, but is there room to fit it in the top slot? Nice case but you should go with a Hyper 212 Evo instead of that stock cooler. Either way your not going to overclock with either but that stock cooler is gonna have the CPU run hot af. Coincidentally about exactly the same as my first build. Great build man! I would like to ask how did you manage to make this backplate? I got also the same GPU. I bought it from V1 Tech. It did not stick well to the back so its kind of sitting there, which is fine. Not hard at all. Just loosen a thumb screw in the back and it pops out and slides up/off. where do you bought the gpu backplate? This on did not stick well so its just sitting on top which is fine with me. The stock wraith cooler for the ryzen 7 performs well. Also you could have saved some money, considering that windows is free......... But some people just don't like that damned watermark.